Eventually, I opened my Bible to see what exactly all this commotion was about…and I’m really, REALLY glad I did! It’s basically a description of what all Christian girls should strive to become, in their process of growing closer to Christ. “(16) She picks out a field and acquires it; from her earnings she plants a vineyard. She is wise with her money, and disciplined in her spending. Basically, she buys things that will benefit her later on, and is careful not to waste/lose her money. (17) She girds herself with strength; she exerts her arms with vigor. This girl is ready and prepared for whatever comes her way, both physically and spiritually! She is also willing to work hard. (18) She enjoys the profit from her dealings; her lamp is never extinguished at night. She is very productive in all that she does, and because of this, she also prospers in all that she does, whether at school, at home, at work, etc. (20) She reaches out her hands to the poor, and extends her arms to the needy. 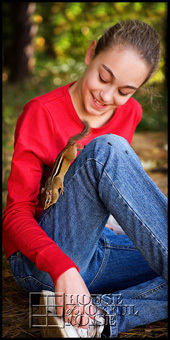 Not only does she work hard, but she is generous and compassionate towards all. (22) She makes her own coverlets; fine linen and purple are her clothing. She dresses in a modest way. (25) She is clothed in strength and dignity, and laughs at the days to come. 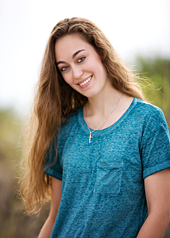 She is spiritually strong, and she’s confident in her God and herself. The future doesn’t worry her, because she knows it’s in His hands. (26) She opens her mouth in wisdom; kindly instruction is on her tongue. She is good at being honest, and she gives good advice. She is always ready to encourage others. She knows that her true worth isn’t found in how ‘charming’ or ‘pretty’ others judge her to be; it’s found in how well she serves Christ, others, and herself. 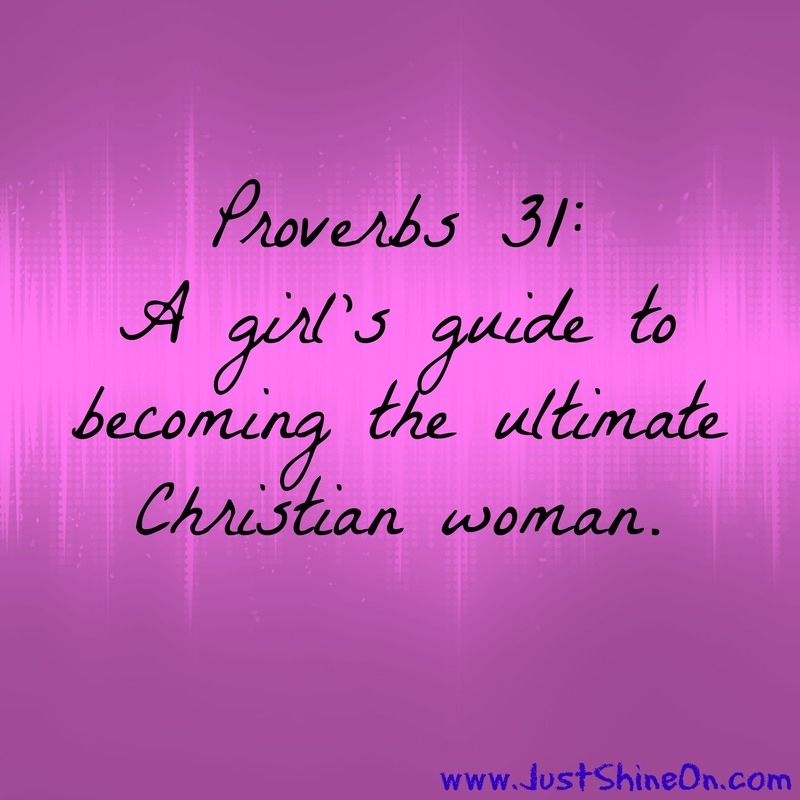 As a final message: Girls, strive to fit this image of a Godly woman, and your inner light will shine even brighter! It’s the best thing you can do for yourself. Guys, look for a girl such as described in this post when dating. 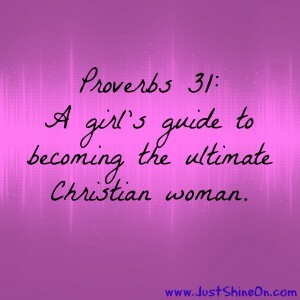 A Proverbs 31 girl will make the best girlfriend, and, (if it’s God’s plan,) wife. STAY TUNED FOR PART 2, GUYS & GIRLS!!! Important note: Alexis tries very hard to live these words and by the grace of God accomplishes it! I know, because I’m her Confirmation sponsor. I really enjoyed this post. It send a really clear and beautiful image of how a girl should act, which is not always clear in society today. Thank you so much for this!